One of the benefits of selling your house to a cash buyer is that the process is much quicker than going through a traditional New Orleans real estate agent. Knowing your reasons for selling your New Orleans property will help manage expectations. 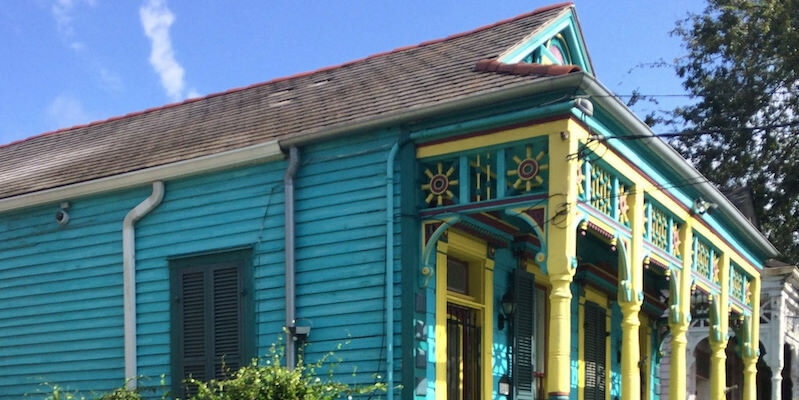 If you’re planning to sell your New Orleans home, you probably have thought about whether to make upgrades and repairs, or just sell your home as it is, existing issues and all. For some homeowners, not spending any time and money on making repairs may be the easiest, least stressful, and most financially viable option. There are benefits and challenges to every selling option. The trick is to determine which process will lead to the outcome that’s best for you. Understanding your options and weighing them against your particular circumstances is the first step. It means exactly what it sounds like. You’re selling your home without making any improvements, repairs, or upgrades, inside or out. You’re selling it in its current condition. It might be that you need to unload an unwanted New Orleans rental property, your own home, or an inherited house. If you’re in financial distress and cannot afford repairs or are behind on your mortgage or taxes — and need to close within 30 days — selling as is could be a perfect option. Avoiding the stress of the selling process with a professional real estate agent might be another reason. If you’re incapacitated due to an illness, for example, or don’t live near the property, you might want to sell as quickly as possible, for cash. Adjust your expectations. If your first floor has previously flooded, if your roof needs replacing, or if your kitchen hasn’t been upgraded in years, it makes sense to assume that the asking price will be lower to reflect the property’s current state. Being aware that you probably won’t get market value. Know what to disclose. “As is” is a legal term, and it means the buyer does have to be made aware of certain issues. Exactly what must be disclosed legally varies from state to state. In Louisiana, it includes previous flooding and termite damage, for instance. If you haven’t lived on the property, though, you may not be aware of all of a home’s issues, but only serious issues are legally required to be disclosed. Be clear about your desired outcome. Part of achieving a smooth transaction is to be clear about your goals and intentions. If you’re sure you don’t want to hold on to the property, and aren’t interested in making any repairs, you should make it clear to the buyer upfront that you want the house sold in present condition. That way there’s no room for negotiation regarding further repairs. In this case, the goal of the sale won’t be about making as much profit as possible. Instead, the priorities are factors such as how quickly you can sell, without further action or effort on your part. Get a pre-listing inspection. Even if you are considering unloading your property to a cash buyer who will assume liability, it’s a good idea to get a pre-listing home inspection. That way you can identify the issues and their extent, and be upfront and truthful about the property’s condition with the buyer. It’s especially helpful if you don’t live there and don’t know what’s wrong with it. Estimate the cost of repairs. In the same vein, and especially if you’re not determined to sell as is, it might be a good idea to get an estimate on the cost of repairs to see if it might be worth it to make a few — even a bare minimum might yield a higher price. Knowing the cost of repairs will give you a better idea of what the house is worth. Once you contact us we’ll schedule a walkthrough of the property, and will make you a cash offer on the spot. Expect to close with us within 30 days! Check out our FAQ to learn more about the benefits of selling your home fast and for cash, and to learn about our simple 4-step process.